Sheun is the Uk’s #1 self- leadership and confidence expert. With over 20 years experience of being a top sales and marketing executive ,trainer and having served as executive and image coach to several clients, she has devoted her life to coaching, training and inspiring the next generation of female leaders. Her signature 4 ‘Ps’ (Passion Pushes Past Pain) describes her drive for excellence in the face of adversity. Her award-winning book ‘SUPERGirl 2 SUPERWoman: The Ultimate Guide to Female’ has started gaining world acclaim with the commencement of her ‘SUPERGirl Leadership Academy’ in the United Kingdom schools. 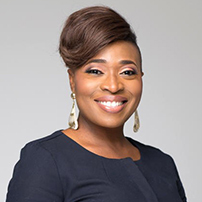 A frequent speaker at business events, non-profit organizations , on the radio and television, she has been featured in several newspapers including The Guardian and won several awards; She is very passionate about helping employees, entrepreneurs and aspiring leaders to become all round success through the development of the right mindset, bodyset and spiritset. She holds a firm belief that self-leadership is the secret to personal and professional excellence. She has a Bachelor of Technology in Agricultural economics -with thesis focused on gender issues, MBA (Marketing Management) and later went on to get certified as a Project & Risk Manager. She is the CEO of Loquats Consulting Ltd–a Leadership training, Coaching, Project management & Publishing outfit and founder of Waliaprin (walk-like-a-princess) an organization with the mission to raise the female economy of nations through the use of empowerment programs, seminars and trainings to build the confidence of girls and women. She is also the Co-Director of ‘The Book Authorities LTD’, an author coaching and publishing outfit. She is a certified member of the John C Maxwell’s legacy team. Above all, she is a wife, mother of three children and a minister of the gospel with a passion to make music.